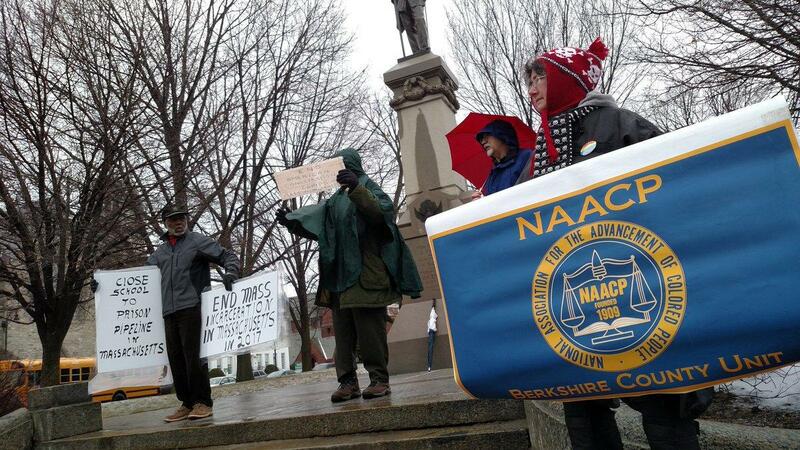 Berkshire County NAACP protests against mass incarceration and for criminal justice reform in Pittsfield, Massachusetts. The local NAACP branch says tough on crime laws have put an unprecedented number of non-violent black offenders behind bars, yet Berkshire County neighborhoods have become no more secure. So, they protested on a cold, blustery day in downtown Pittsfield. “Well, the plan is to really just walk around as people come and join us and really to show — here we go — to really show that in Massachusetts we really have to start thinking about our whole criminal system,” Powell said. 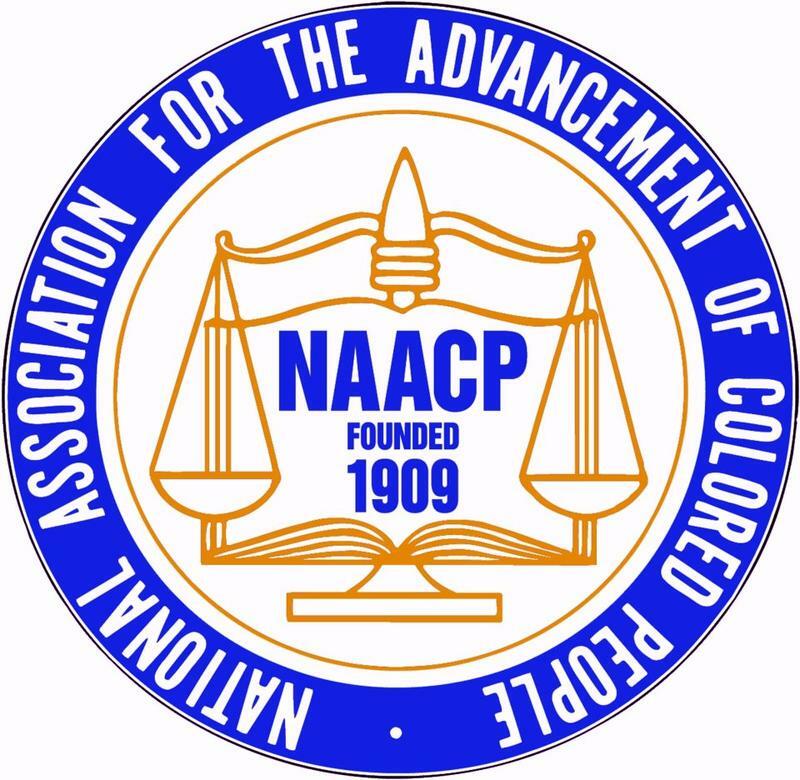 Dennis Powell, the local branch’s president, says criminal justice reform is one of the three key policy priorities for the Berkshire County’s NAACP this year – and it should be the state’s and the country’s priority, too. “I am sure we have quite a few people, young people, that have gone to jail here in Pittsfield back when crack cocaine was considered something evil instead of realizing that young black kids that were on crack cocaine were addicted just like they consider white kids being addicted today to heroin,” he said. The protestors emphasized that the United States – which is home to the world’s largest prison population – incarcerates people of color at six times the rate of white Americans. When a drug offense is involved, Powell says it’s more like 10 times the rate. “Now they want to treat it as a medical issue. When it was affecting young black men and women it was criminalized and they were put in jail and, you know, for... lives were ruined because of that. So, that's why the whole system has to be changed,” Powell said. Andrea Harrington is a criminal defense attorney and member of the local NAACP. Often discussing criminal justice reform, Harrington ran for state Senate against Adam Hinds last fall. “From what I have seen so far from the work that they are doing and what is being discussed, I don't see it as being very sweeping, kind of broad, big ideas about criminal justice reform, and it doesn’t seem like seem like there is really really a diverse and big enough part of the community that is taking part in the conversation,” Harrington says. Harrington says more people of color, advocates for the rights of felons, family councilors and criminal defense attorneys need to be involved. The protestors say local and state governments spend tens of thousands of dollars a year to keep individuals behind bars – a large portion of what they spend on public safety every year. The NAACP tries to help them get jobs and apartments, but many end up going back into jail. They say it’s a systemic problem that affects all people of color of all ages. “You know, this really affects our area because we have a really tough economy — and with a tough economy, there is a lack of opportunity, increase in drug use, and I see my clients going to jail. And you know, it’s devastating for families,” Harrington says. “If the kids are not educated or can't be educated, that's where this whole school-to-prison pipeline comes into place, because they are not getting what they need in school, so the next thing you know: We know where they as are going to end up,” Powell said. Some of members of the Berkshire County NAACP are going to Springfield on Wednesday for a roundtable discussion about ending mandatory sentencing for non-violent drug offenders in Massachusetts at the Western Mass. Community Action Meeting, led by the Pioneer Valley Project. Jail-time job training, reentry program funding and juvenile record expungement are also on the table.